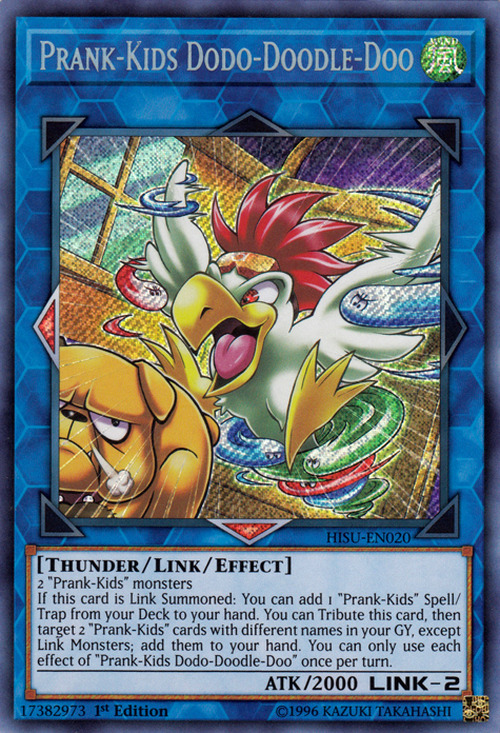 If this card is Link Summoned: You can add 1 “Prank-Kids” Spell/Trap from your Deck to your hand. You can Tribute this card, then target 2 “Prank-Kids” cards in your GY with different names, except Link Monsters; add them to your hand. 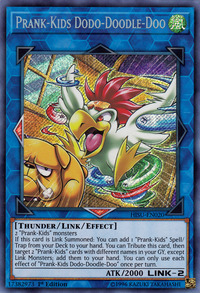 You can only use each effect of “Prank-Kids Dodo-Doodle-Doo” once per turn.